The Ringed Plover has its name by right: a collection of black and white spots and stripes on the upper body. It is a small wader with a relatively short beak, mainly feeding on insects and molluscs. 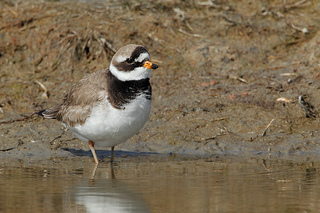 The Ringed Plover has orange legs and an orange beak. 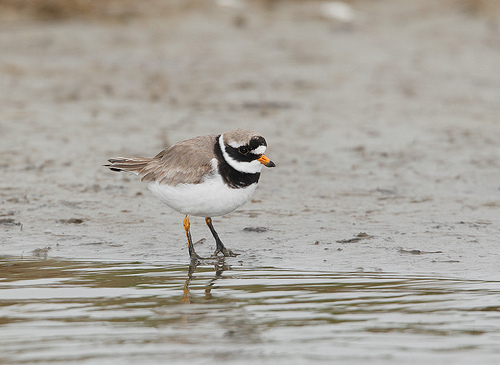 The Little Ringed Plover is slender and has longer legs.